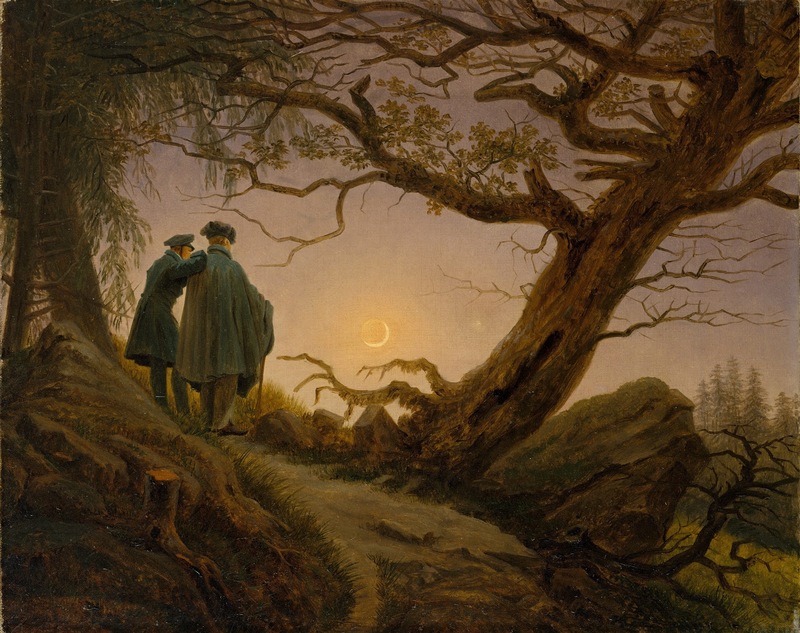 Title: Two Men Contemplating the Moon. 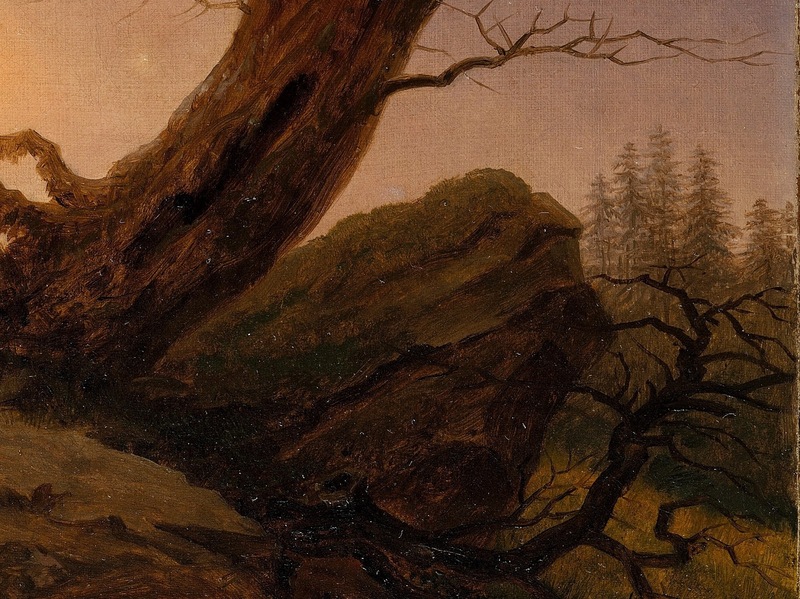 Artist: Caspar David Friedrich** (German, Greifswald 1774-1840 Dresden). Dimensions: 13 3/4 x 17 1/4 in. 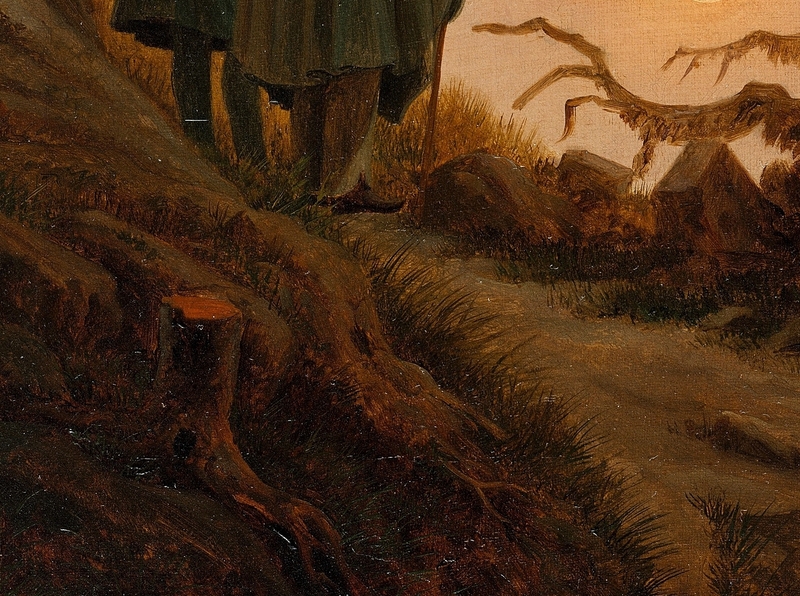 (34.9 x 43.8 cm). Current location: The Metropolitan Museum of Art. Credit Line: Wrightsman Fund, 2000. 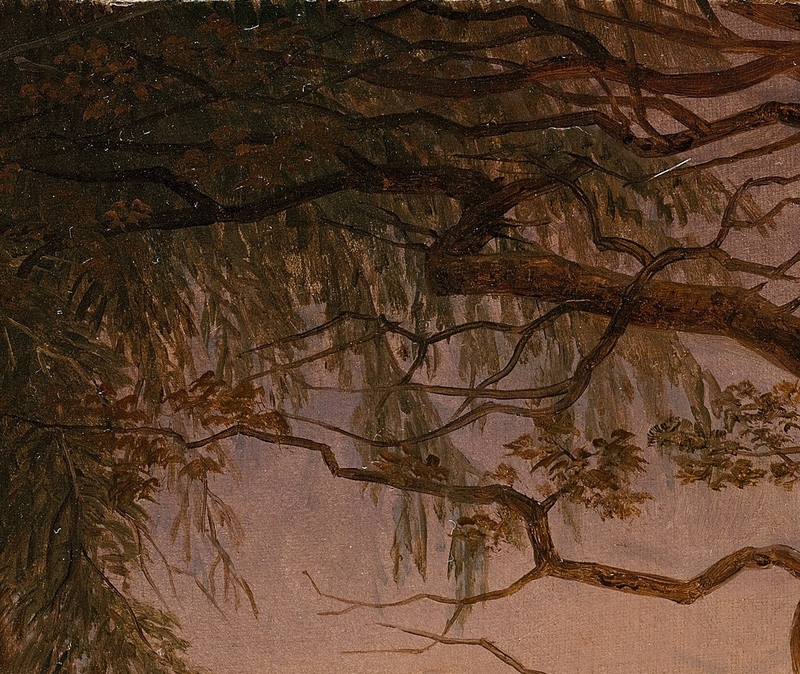 These two figures are seen from behind so that the viewer may participate in their communion with nature. 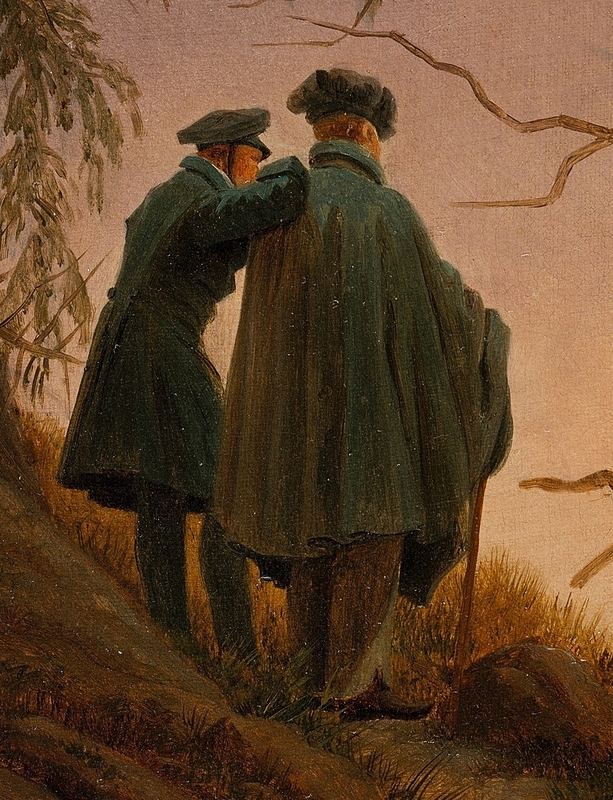 They have been identified as Friedrich**, at right, and his friend and disciple August Heinrich (1794-1822). 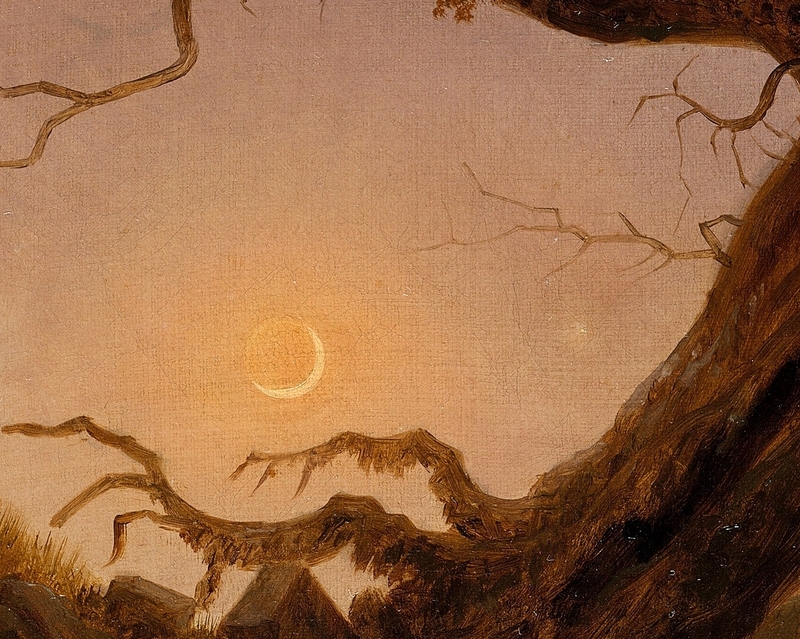 Fascination with the moon ran high among the German Romantics, who regarded the motif as an object of pious contemplation. 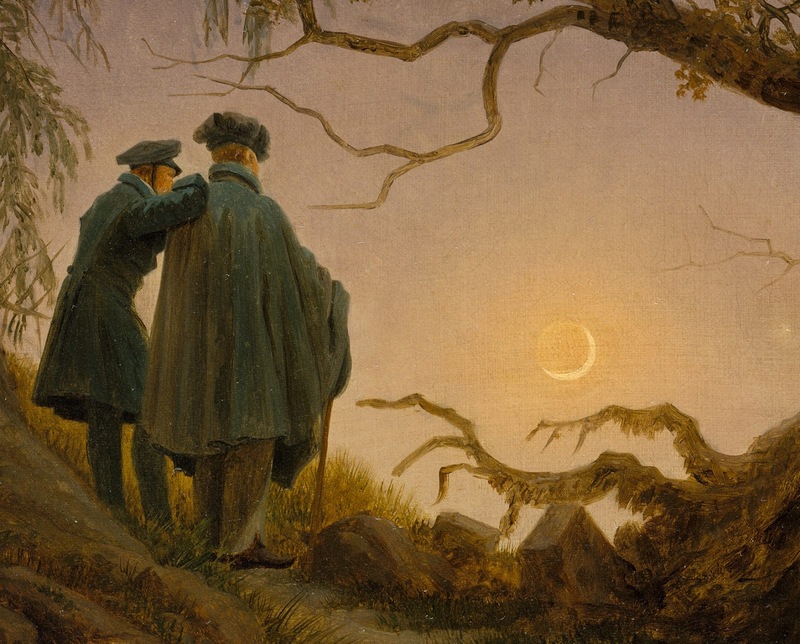 Two Men Contemplating the Moon (German: Zwei Männer in Betrachtung des Mondes) is one of the best known paintings by Caspar David Friedrich**. 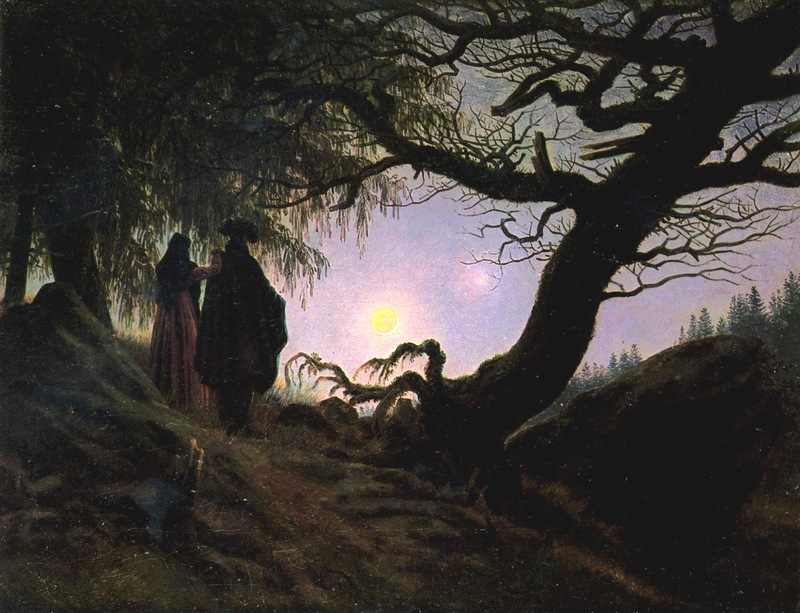 Friedrich painted several versions, and also a variant in which the two figures are a man and a woman (1835). The 1819/20 version in the Galerie Neue Meister in Dresden is thought to be the original. 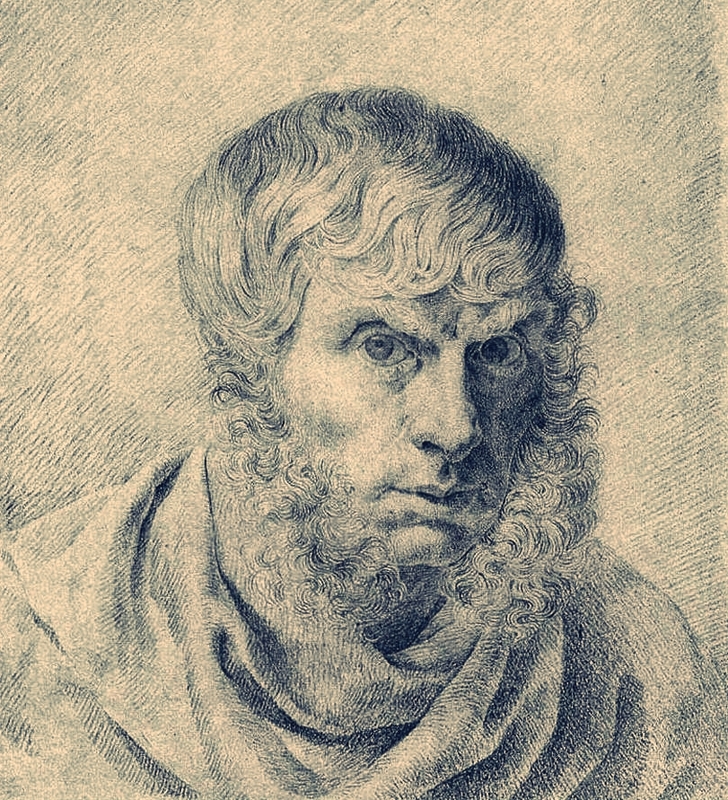 Samuel Beckett said that the work inspired his play Waiting for Godot. 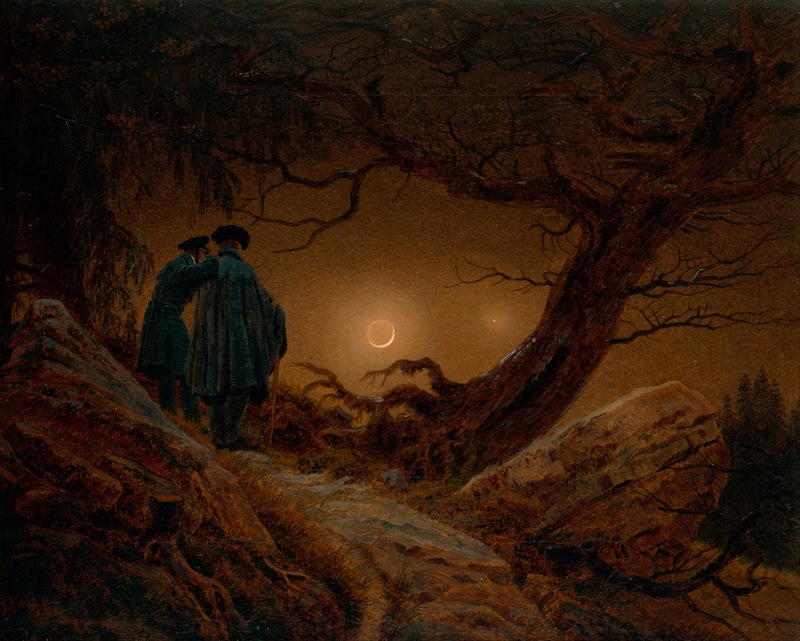 Due uomini che contemplano la luna (in tedesco: Zwei Männer in Betrachtung des Mondes) è uno dei dipinti più famosi di Caspar David Friedrich**. Friedrich dipinse diverse versioni, ed anche una variante in cui le due figure sono un uomo e una donna, 1835. 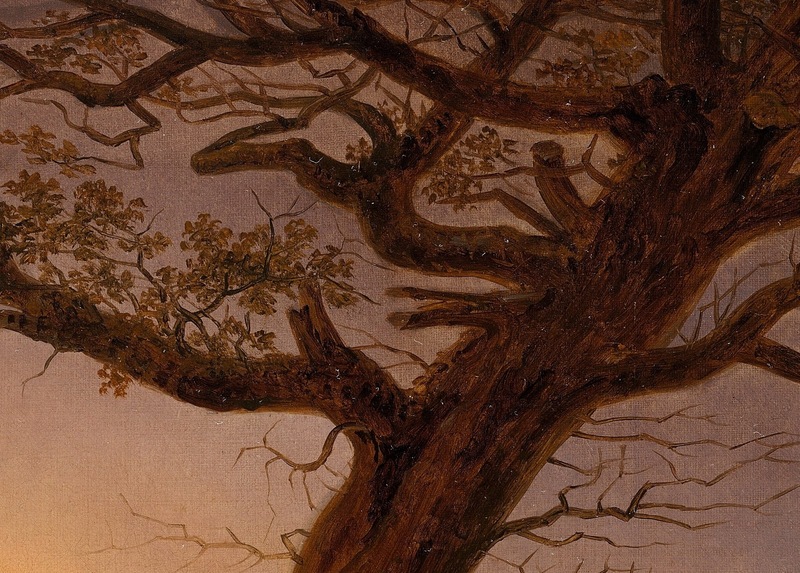 La versione 1819/20 nella Galerie Neue Meister di Dresda è considerata l'originale. Samuel Beckett ha detto che questa tela ha ispirato la sua opera Waiting for Godot.